For Anuradha births of a masculine valence, the influence of rigid, chronological, lawful, enduring strictly structural sober serious systematic Shani may considerably affect the outcome. Instruction from the guardians of the civilizations of Gisgan-gusura. Their purpose is to impose safety in dangerous conditions via threat-containment and damage-control. Anuradha imposes order after chaos. Maitra-born have a special gift for threat reduction. After the terrifying, explosive Shock of Visaka-Radha, enter Anuradha for damage mitigation and triage. Shani-ruled Anuradha requires lawful, mandatory compliance. Maitra-born are found in emergency centers, disaster response control rooms, high-risk insurance, elite rescue operations, military ordnance control, explosives testing, hazardous materials management, hazardous substance regulation.. Maitra are often the bridge-builders following a social scandal or fight. They maintain order in dangerous conditions via regulatory structures such as war policy, catastrophe protocol, social strategies for responding to epidemic disease and famine, and emergency rules such as martial law. Being Shani-ruled, they are naturally suited to medical, legislative, and executive governance positions. yet the native of Anuradha gets very little enjoyment out of life. but with continual discontent and bitterness in his heart. and because of his attitude and outlook on life, he is somewhat unscrupulous . "a sweet tongue but poison in the heart" aptly characterizes him." 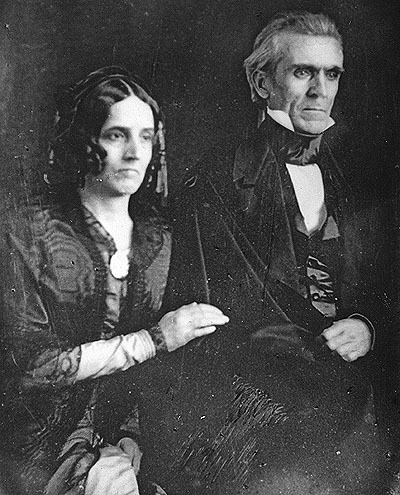 Polk married a politically tolerant and pious wife, became governor of Tennessee and eventually POTUS-11. Sarah is represented not only by nichha-Guru-yuti-Ketu in 7th-from-Chandra suggesting some diffusion of agreement, but also by the distinctive political asset and substantial counseling-advising advantage of the gracious karmesha-10 nichha-Surya-yuti-Zukra yuvatipathi-7 . Age 13, young Polk survived a brutal frontier surgery * randhresha-8 Budha-1 surgeries * for urinary stones which was made even more dangerous and painful by the ensuing sepsis. 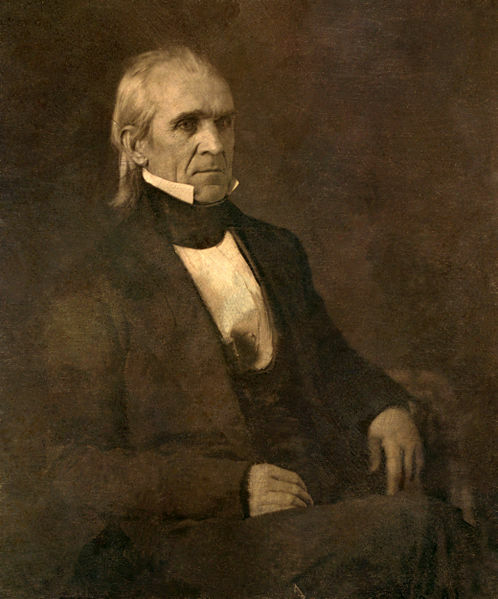 Polk suffered lifetime frail health and sterility from the terrible surgery and from using the medical remedies of the time (Budha pharmacopeia). Randhresha located in radical-lagna indicates an agent of revolutionary change. The life-force is consumed by the transformational intensity of the task. The incarnation is usually briefer than average. Three months after completing the POTUS-11, he died suddenly of cholera age 53. Zukra-Thula yuti Surya-Vanika * nichha * yuvatipathi-7 with karmesha-10 signals a substantial public career. In addition, yuvati-bhava contains the Karakamsha, contains Shani-7 dig-bala ruled by Zukra, and suggests that the weight of his career was indeed borne by his steady, cautious adviser wife Sarah. Surya-yuti-Zukra ++ Guru-yuti-Ketu in 7th-from-Chandra * Another wife? Surya-12 suggests a completely invisible indiscretion such as a conception with a slave woman (very likely for slave-owning men in those times). Polk is often reckoned as sterile because he did not produce children with Sarah. However, Surya-yuti-Zukra suggests a first wife (Surya having the lower degree) who occurs before Zukra-wife-2 representing Sarah. Surya is very weak as nichha in 12, but still yuti yuvatipathi-7 and still capable of producing a union. Rahu in bhava-9 * in swabhava of Saptarishi Guru, the Shadowy Specter seeks privilege via glamorous or unusual doctrine, theory, dharma, worldview; desires a special, important teacher-preacher role in catechesis, principled discourses of abstract ideas, ideology, philosophy. Extraordinary father-figure, ambitious professors and religious teachers. Thrives in culturally-mixed university, temple, sangha, or sacred-teaching settings. Rahu the Poseur may pose as a charitable philanthropist, a wisdom-purveyor, a patron of principled thought, a guru-figure, a philosopher, or a globalist humanitarian. Exciting, opportunistic third marriage (if any). His Chandra-yuti-Rahu-9 suggests an ideologue driven by a concept of ancestral (Chandra) privilege. Indeed Polk and most of his peers were mesmerized (Rahu) by the philosophy (9) of Manifest Destiny. This doctrine neatly justified (in their minds) the annihilation of the Red Race and the subjugation of the Black Race in North America as the white, agriculturalist Euro-Americans settled (Chandra) rapidly across the "unclaimed" continent. The folk dogma of Manifest Destiny lost its credence as its utter lack of legal or scriptural support made it unsustainable. However in Polk's day, Manifest Destiny was a widespread passionate ideology and Polk was a deep believer. His Chandra-yuti-Rahu-9 describes the passionate beliefs of the day including Manifest Destiny. His wife Sarah is represented by 7th-from-Chandra nichha-Guru-yuti-Ketu. Her materialistic (nichha-Guru) interpretation of Biblical scripture produced a culture of no-alcohol no-dancing no-games austerity which sobered her political entertainments. Nevertheless "Sahara Sarah" earned respect for her devotion to her husband's political career (Guru vidyapathi-5 politics). After his death age 53, Sarah remained a widow-wearing-black for 40 years. During her tenure as First Lady, in order to economize, POTUS-pair-11 Polk Place 1803-1891 Sarah Childress Polk Meena-Chandra-9 fired most of the White House staff. She replaced them with her own slaves. Despite her firm doctrinal beliefs (no dancing, no liquor, no frivolity) she bought and sold dozens of slaves for her plantations, often selling children away from their mothers and husbands away from their wives. The Kanya-cluster in bhava-3 buy-and-sell indicates rationalized (uttara-Budha Kanya) cruelty (Mangala-3 * 8th-from-8th) particularly toward the service class, the disadvantaged and imbalanced, and those weaker or lower than oneself. yuvatipathi-7 contracts * randhresha-8 trauma Shani plus Vriddhipathi-11 economics vidyapathi-5 politics suggests a utilitarian aggressiveness. Identity with sacred doctrine lagnesha Chandra-9.